Ever heard the phrase ‘Fighting Fit’? Well Drumsna Boxing Club is offering you the chance to find out exactly what that means with the launch of a new fitness programme for Over 50s. 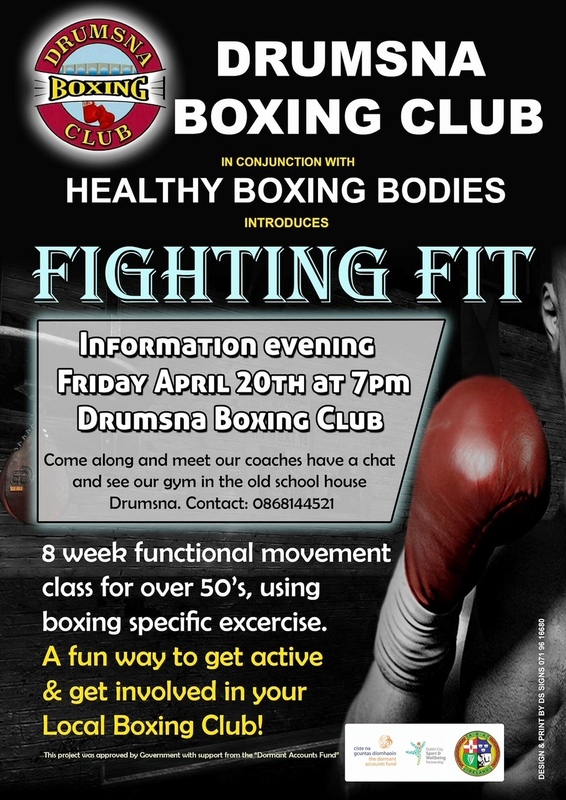 Drumsna Boxing Club host an information evening tomorrow (Friday, April 20) on the launch of their new ‘Fighting Fit’ programme, an eight week functional movement programme for Over 50s using boxing specific exercises. In conjunction with Healthy Boxing Bodies, the ‘Fighting Fit’ programme is a fun way to get active and get involved with your local boxing club. Anyone interested is invited to come along to Drumsna Old Schoolhouse on Friday evening at 7 pm.